Home > Work	> #SP2016 Technical Preview–SharePoint 2010 Workflows still available! #SP2016 Technical Preview–SharePoint 2010 Workflows still available! So I am running a project internally at the moment about moving away from a vended product to a capability in Office 365 / SharePoint Online using out of the box functionality as much as possible (cost saving exercise) – The Oil & Gas industry is hitting hard times if you haven’t seen commodity prices lately! Anyway, this interim / temporary solution requires me to send an email to an external user. With the SharePoint 2010 workflow engine, you could do this with a standard SharePoint Designer workflow. In SharePoint 2013 they essentially deprecated the SharePoint 2010 workflow engine and introduced a new Azure based version. This newer workflow engine requires the user that you send an email to an authenticated user with Active Directory / Azure Active Directory. This causes me an issue for my temporary solution in SharePoint Online! I initially thought… perhaps Nintex Workflow for Office 365 Workflow can help? 2. 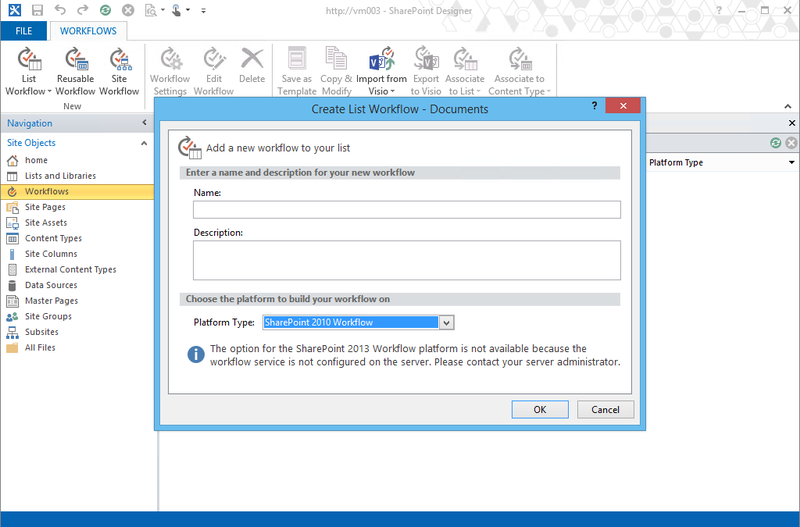 Create a 2010 platform workflow with a single step – Email User. Call this workflow from the 2013 workflow and hope it stays supported – For this temporary solution, this may work but we all know how temporary often becomes permanent. 3. Create my own code / action to call a web service and send the email – This would work but for this temporary no code solution, it feels overkill. A good backup however, if the solution turns permanent. 4. Find a 3rd party product that can add actions. PlumSail has a package: https://plumsail.com/workflow-actions-pack/. $400 per year. – This is also a good option but there is of course this gotcha! There isn’t going to be a SharePoint Designer 2016. SharePoint Designer 2013 however still works. Now that I have my newly installed SP2016 On-Premise environment and I can confirm that this is still currently available when you connect SharePoint Designer 2013 to a SP2016 On-Premise server. I can also confirm that as of the time of writing, it is also still available in SharePoint Online. So for this “temporary” project, this is likely the way we will go, knowing full well, it might go away at some point. Stay tuned for more posts about SharePoint 2016 as I answer my own questions about the real business issues I face.